Prime 1 Studio finally unveiled one of the most awaited statues from its Batman: Arkham Knight lineup. 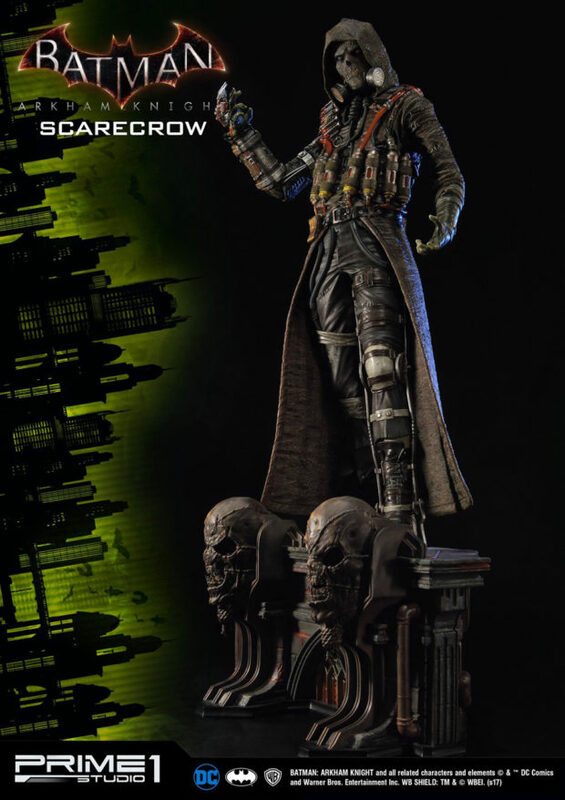 The Scarecrow statue is nearly 32″ tall and as you can expect is amazingly detailed. It has tons of well-made separate pieces, great texture and paint job, and a cool bonus for Prime 1 collectors. 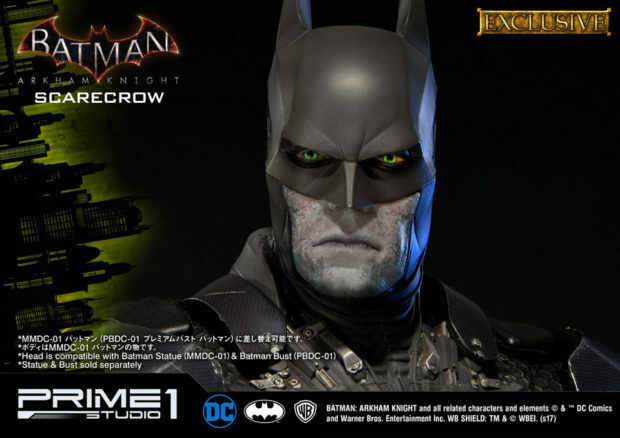 The statue’s Exclusive edition – which is limited to only 500 pieces – comes with a Batman head that depicts the Dark Knight under the effects of Scarecrow’s fear toxin. 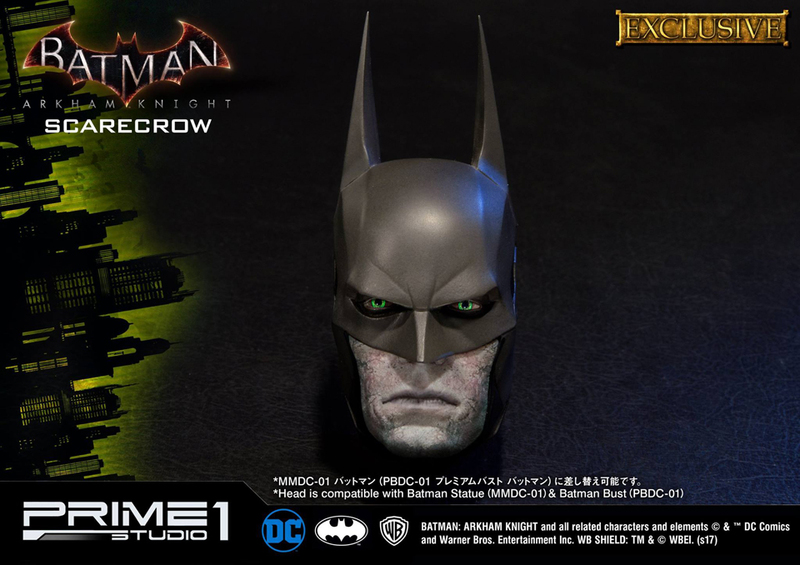 The head fits on the Batman: Arkham Knight Batman statue (MMDC-01) and Batman bust (PBDC-01). 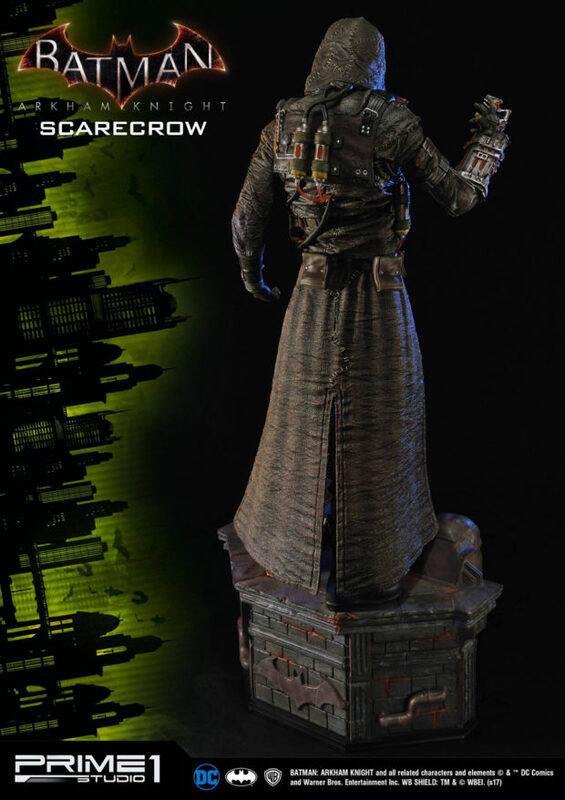 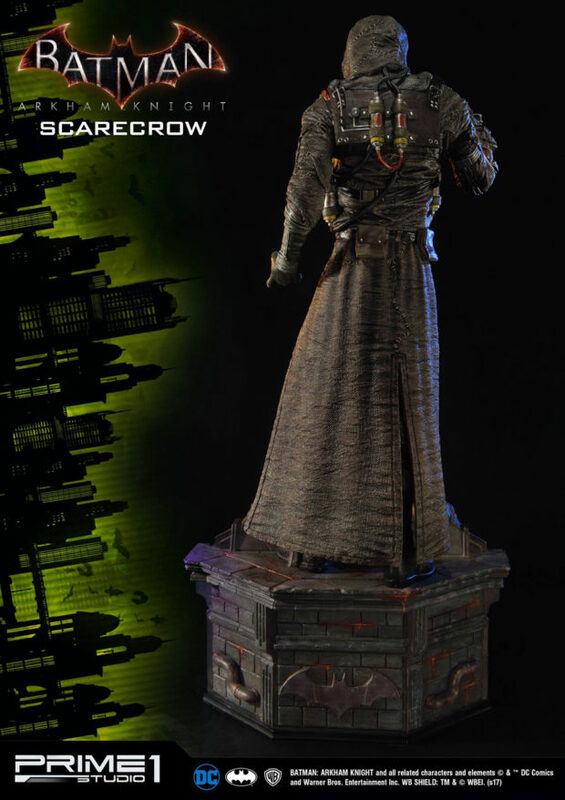 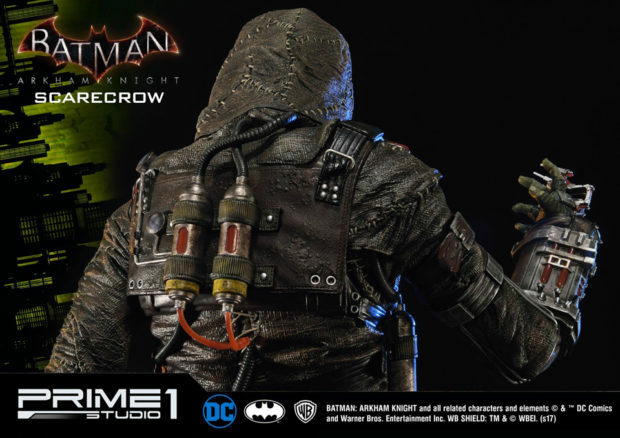 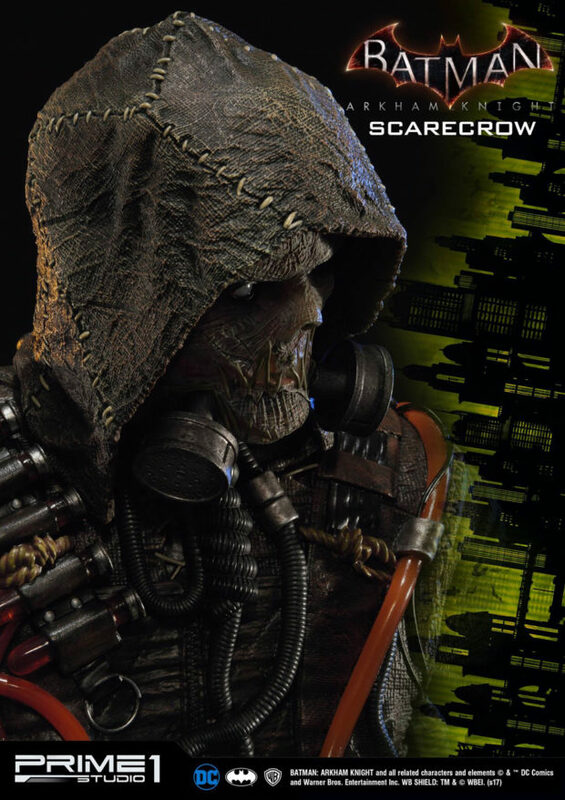 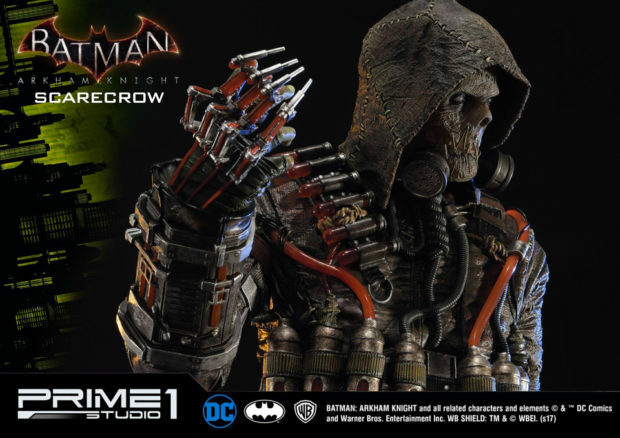 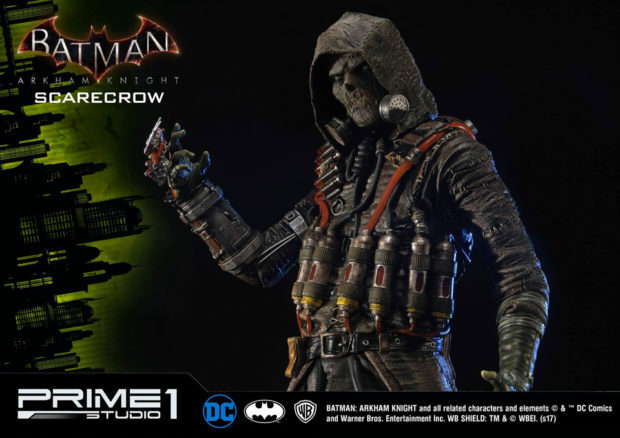 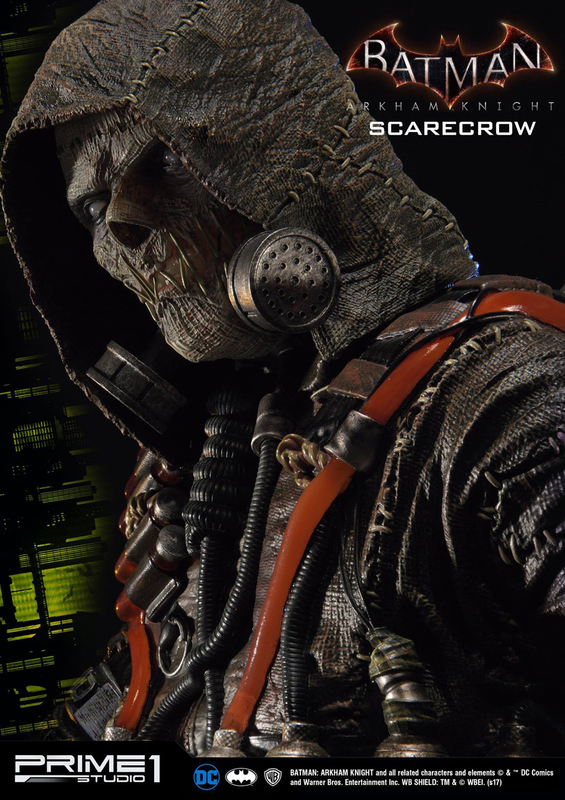 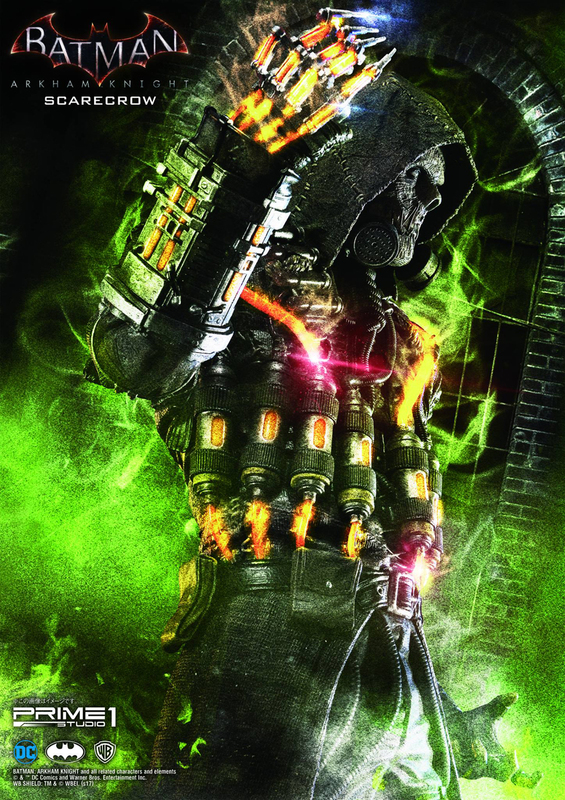 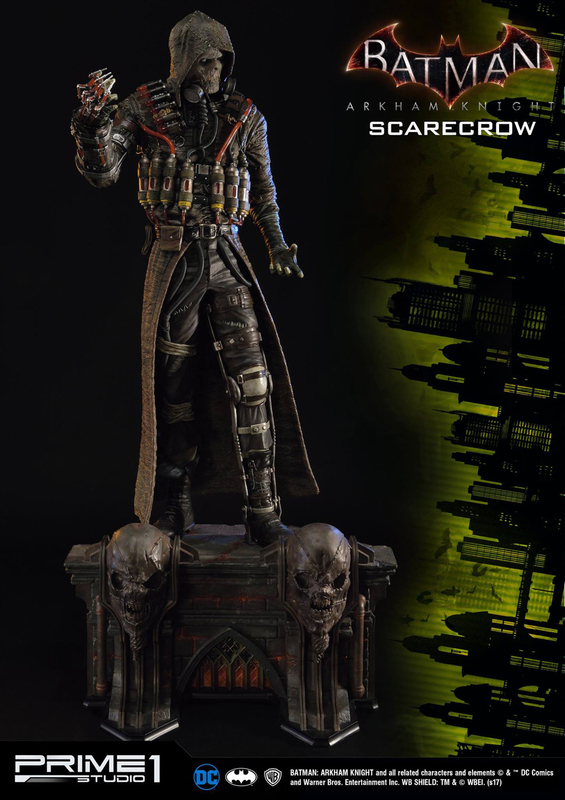 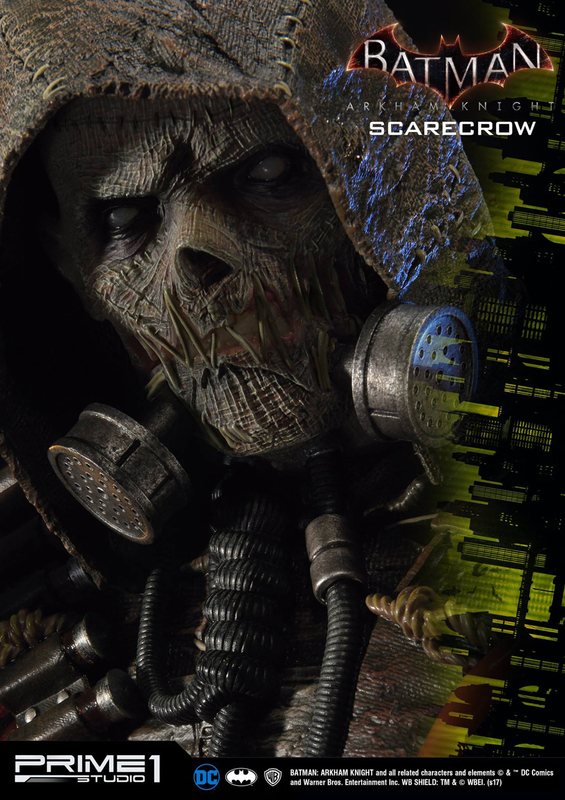 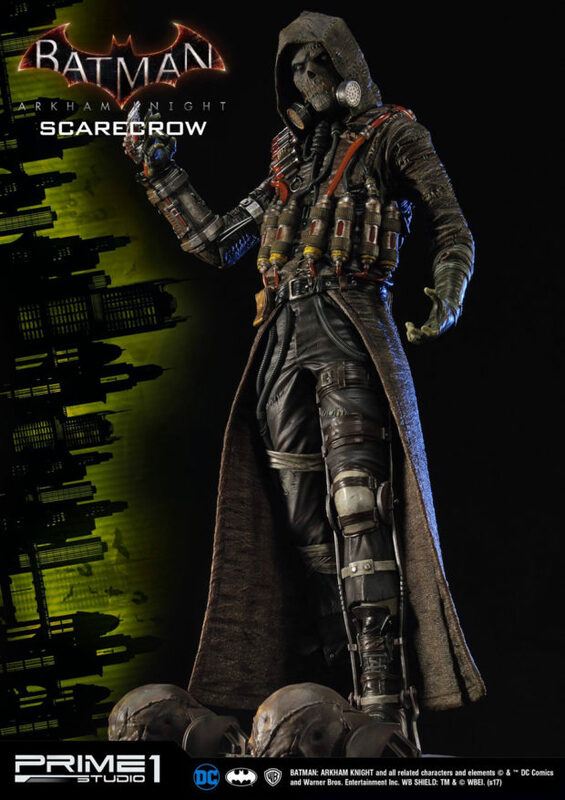 You can pre-order the Exclusive Scarecrow statue from Sideshow Collectibles for $900 (USD).